If you have your own computer, you would more than likely like to personalize your computer any way you can. Anything from color profiles to background images to laptop stickers are fair game. 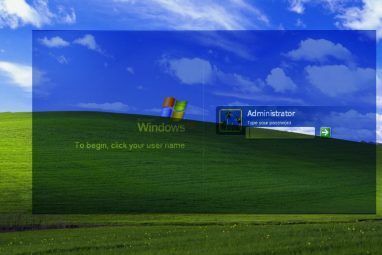 Well now you can easily create a custom logon screen if you are running Windows XP, Vista, or 7, using LogonStudio. I know in the past it has been possible to change Change The Windows Logon Screensaver And More (Win XP) Change The Windows Logon Screensaver And More (Win XP) Read More the logon and logoff screens in Windows but the key to LogonStudio being useful is in the ease of use. Why the option to create a custom logon screen hasn’t been built into Windows automatically, I’ll never know (I guess in Windows 7 they have finally done so). It’s an easy download and an easy tool to use. Let’s see what it’s all about. Go to the site and click on the download link. It will eventually take you to a CNET downloads page where the program file is hosted. Once downloaded, install the program and you are good to go! At the end of the installation process, open the program so we can take a look at the options. As you can see by the screenshot, there are 5 buttons along the left side named “Load”, “Download”, “Create”, “Upload“, and “About.” Let’s go through each one to see what our options are in creating your custom logon screen. Skip the “Load” button until we download a logon package (aka “skin”). So let’s go on to the next button for now. When you hit the “download” button you are directed to a website called WinCustomize containing a directory of many packages to choose from. Browse around and find one you like. For the sake of this article I will be choosing Light Blue Crystal. Once you hit download, the next step may depend on your browser. 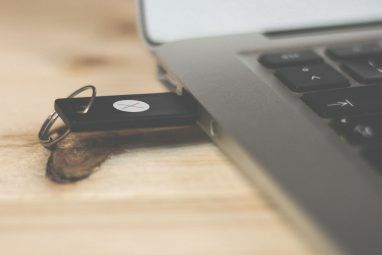 Since I am using Firefox, I am faced with a decision to either open the file directly with LogonStudio or to simply download and save the file to a folder. The easier option would be to open the file directly but for the sake of seeing how the “Load” button works, we’re going to choose to save the file. Just choose a location you can find easily. When you click the “Load” button, you are then given the opportunity to browse your hard drive for the file you just downloaded. Double-click the file (it will have the file extension “logonvista”). You will then have the package showing in the list of available packages. You can then either double-click on the package or highlight it and click the “Apply” button. This will effectively bring you to the logon screen showing your new custom logon screen. The “Create” button is for those who already have an image that they want to set up as the logon screen. After clicking the button, just fill in the blanks, browse for the picture you are looking for and click save. This will create the package and show it in the list for you. If you want to upload a particular package that you created and you think others will like, you’ll need to register. I have not tested this option but if you do, let me know how it goes! Clicking the “About” button will obviously tell you more about the program. It will also give you a link to check for updates. 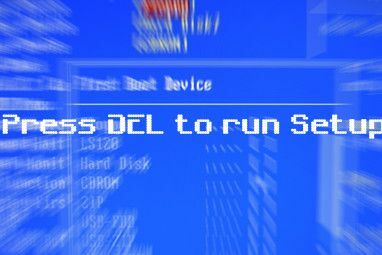 You now have a simple way to create a custom logon screen for your Windows computer! Do you have a different option? Let us know! I made my own, but on my own: http://fav.me/d2hv85a It seems like such a waste to install a program to make a picture for you. Nick, the point of this app isn't to "make" the picture. This app makes the installation of the picture into the logon screen easy. I've used it since Vista, and it's a really nice app!